Can the Red Sox Repeat in 2019? NBC10 Boston’s Raul Martinez was joined by Lou Merloni from Fort Myers, Florida. Can this team repeat? Merloni says he views them as one of three teams that could potentially win it. “Repeating is really tough. Winning a championship is tough. Unfortunately people in the Boston area are skewed because we have seen the New England Patriots and we’ve had a lot of success here recently. It’s just not that easy. You gotta stay injury free. There are guys that gotta step up…Does Mookie have another MVP Season? Does JD have the year he did? Does Xander have the year he did? I think it’s really, really difficult, and ...I think the biggest issue is they’re going to have to figure out the back end of the bullpen during the regular season.” Merloni also discusses how the Sox closer situation will play out, what the expectations are for Dustin Pedroia, potential for 2019 free agents to re-sign during the season, which player will exceed expectations this year, and David Price. Before J.D. Martinez and the defending World Series champion Boston Red Sox take the field to begin the regular season, they're already playing catch up in the American League race. The Mariners are beginning what they hope is a relatively short rebuild to again be contenders. They've already reshuffled their roster since playing in Japan _ Ichiro Suzuki retired at 45 after two hitless games in his homeland. 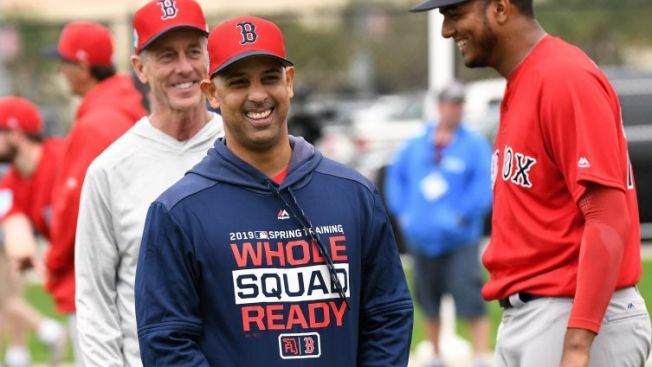 NBC10 Boston's Raul Martinez went 1-on1 with Alex Cora at JetBlue Park at Fenway South in Fort Myers, Florida. The Red Sox manager answered the following 10 questions: At what point last year did you realize, this is the team that is going to win the World Series? Favorite post-season game? Best thing you did after parade in off season? Challenge of balancing family life and work life? Hardest part about repeating? How many times have you been asked about the closing job? Who is fastest guy in outfield - JBJ or Mookie Betts? What do you think of a universal designated hitter? Favorite manager to play against? Are you upset Patriots stole your thunder? "We have a good team. We're very talented, everybody knows it," Red Sox manager Alex Cora said. "We're ready. We know what we're going against. We know that repeating is not easy. We have the perfect group to stay focused and don't listen to the noise and stay locked in. You guys saw it last year. It's a testament to who they are. It's not about Alex, the coaching staff, it's the group. They're very humble and hungry." 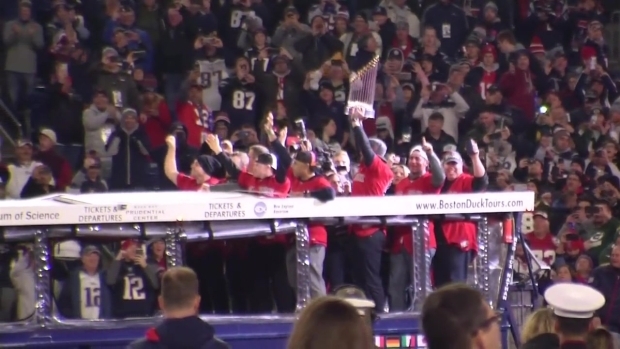 The Red Sox, who arrived in a duck boat, were honored ahead of the Patriots-Packers game on Sunday night.